Xiaomi has launched Redmi Note 5 and Xiaomi Redmi Note 5 Pro. Both Phones comes with 18:9 Display, Octa-Core processor, 4000mAh Battery. 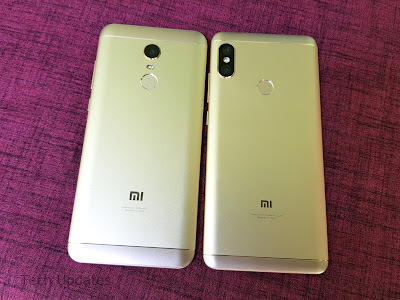 Check out Difference between Redmi Note 5 and Redmi Note 5 Pro. Xiaomi Redmi Note 5 and Note 5 Pro comes in Black, blue, rose gold and gold. 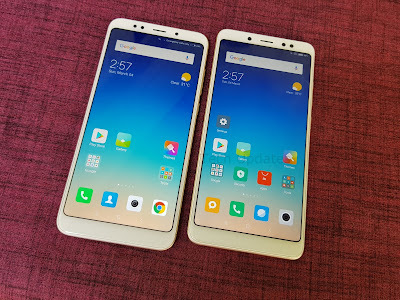 Redmi Note 5 is priced at Rs 9999 for 3GB RAM model and Rs 11,999 for 4GB RAM model. Redmi Note 5 Pro is priced at Rs 13999 for 4GB RAM and Rs 16999 for 6GB RAM.The difference is Design, Processor, Camera, Storage variants.